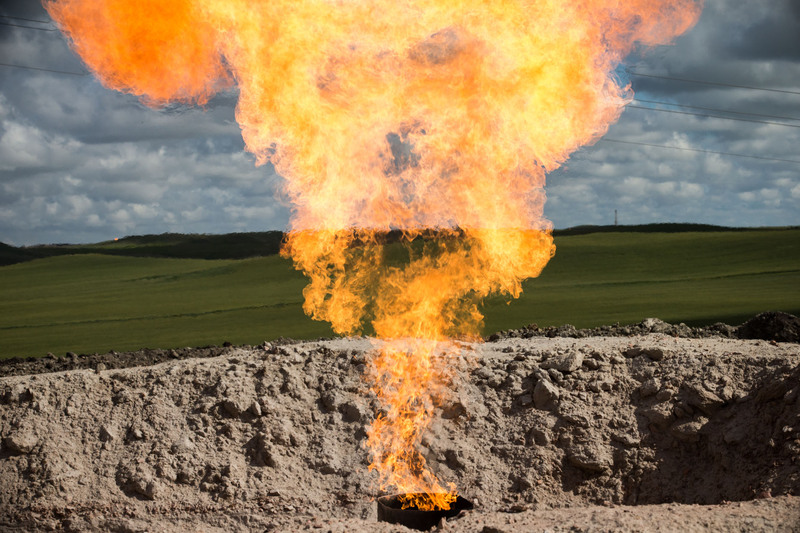 A gas flare is seen at an oil well site on July 26, 2013 outside Williston, North Dakota. Gas flares are created when excess flammable gases are released by pressure release valves during the drilling for oil and natural gas. North Dakota has been experiencing an oil boom recently, bringing tens of thousands of jobs to the region, lowering state unemployment and bringing a surplus to the state budget.